If your business is acting as a general contractor or a subcontractor, the odds are you are proficient at what you do and you understand what you are doing every day you arrive at the job site. Nevertheless, accidents can happen even when you are persistent and proficient and very careful. 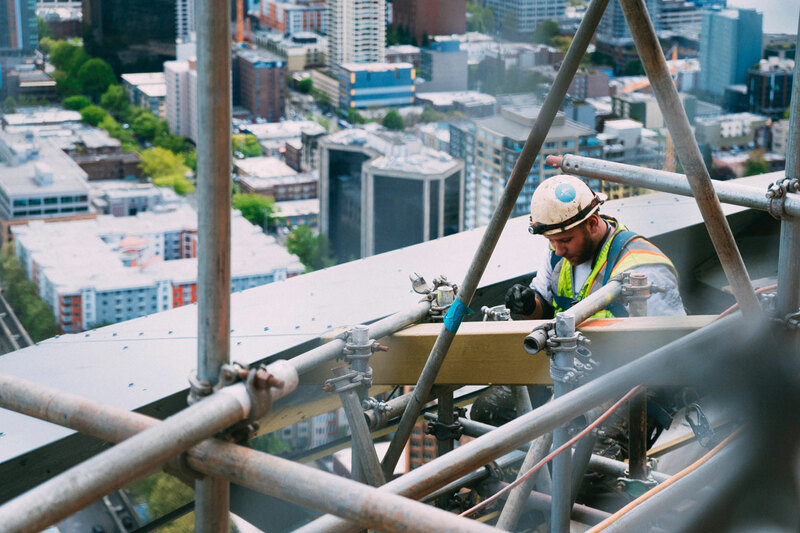 General liability insurance for contractors and subcontractors helps shield you from liability for those accidents and allows those who are the affected individuals of the damage you may be responsible for and get the assistance they need to deal with the problem. General liability insurance provides coverage to shield your company against legal actions that can follow accidents, injuries, and certain errors made while you are on the job. If you are considering whether or not to add this insurance coverage to your overhead, keep these four solid reasons in mind. Even though most states require proof that you have purchased general liability, not all of them do so it’s up to you to do what’s best for your company and your customers. 1. General Liability insurance coverage can save your company from significant, disastrous expenses. This form of liability insurance is referred to as asset protection insurance. If a third party claims that your business activity caused them bodily injury or property damage, you could be held liable for their expenses. With your general liability insurance policy in place, these expenses will not have to be paid out of your pocket. Even though you are experienced and extremely careful, accidents can happen. You probably have employees or sub-contractors who might unintentionally cause accidents while doing work for your company. In these cases, your company could be subsequently liable for the damage they might cause. Without general liability insurance, those accidents can be adverse to your business. They could possibly even hurt your operation so badly that you might not recover. 2. Although General Liability is not always Required by Law, it’s Foolish not to Purchase It. Although contractor liability insurance isn’t required or suited for everybody, if any of the following scenarios applies to you or your business, you should make every effort to get a policy in place. If your customers want you to have proof of liability coverage before working. This helps give them the assurances that if there is damage or injuries caused by you or your operation, they will have protection. If your company provides products or services that you design, you will need to be certain that your proprietary service or product is covered in case you’re sued for professional mistakes. If you have been selected as a subcontractor by a general contractor to assist them in completing a major project. 3. General liability insurance provides coverage for liability for physical damages. Known as “bodily injury liability claims,” these are accidents that result in injury to a third party when they are on or near the job site or business property. These are not unusual and can end up costing you and your company substantially. General liability insurance can provide coverage these types of claims if you have a general liability policy. If an injured party needs immediate medical attention, the medical payments section of your liability coverage will kick in as well. Your general liability policy can help the injured party get medical treatment right away without the need for having a legal action filed against you. Under your company’s general liability coverage, there is a category of coverages referred to as Personal Injury which includes offenses like false arrest, detention, or imprisonment; malicious prosecution; wrongful eviction; slander; libel; and invasion of privacy. Although these types of claims are considered infrequent, having this coverage in place is yet another way to protect your business. Certainly, as a professional, you want to operate your business using the safest and most efficient methods to please your customers and develop great word-of-mouth referrals. Unfortunately, it can only take one claim against you that might be financially devastating to you and your company. Remember, accidents happen and if you or an employee or subcontractor are found liable for bodily injury, property damage, or personal injury, it makes sense to have a general liability policy in place to protect you, your business, and your assets.